The inspector came by and gave us a hearty “Nice Job!” on our final inspection. As far as the authorities are concerned, we are cleared to move in. However, we have a few more details to attend to before I can put my toothpaste in the drawer. A cabinet that was moved over forced the removal of a tile. There are dozens of tiny details that need to be revisited before the bank will bless the house as complete. Every worker who came in after the walls were painted has left their mark. There are a few cases where a tweak to one thing has negatively impacted another, such as the missing tile pictured left. There are also several little things that were simply overlooked in the long steady march toward completion. I walked through the house with Bob earlier in the week to note all of the details we should be attending to. He walked away with a long list of todos known as the punch list. Once that list is complete, the bank will send in an inspector who should then give the green light for the last 10% of the loan to be disbursed. Front entry, stairs, foyer, and dining. We’re very proud of what we’ve accomplished here. Here’s a sample picture of the nearly finished project. I have a backlog of great info that I’ve been stockpiling, so stay tuned for a lot more great info. 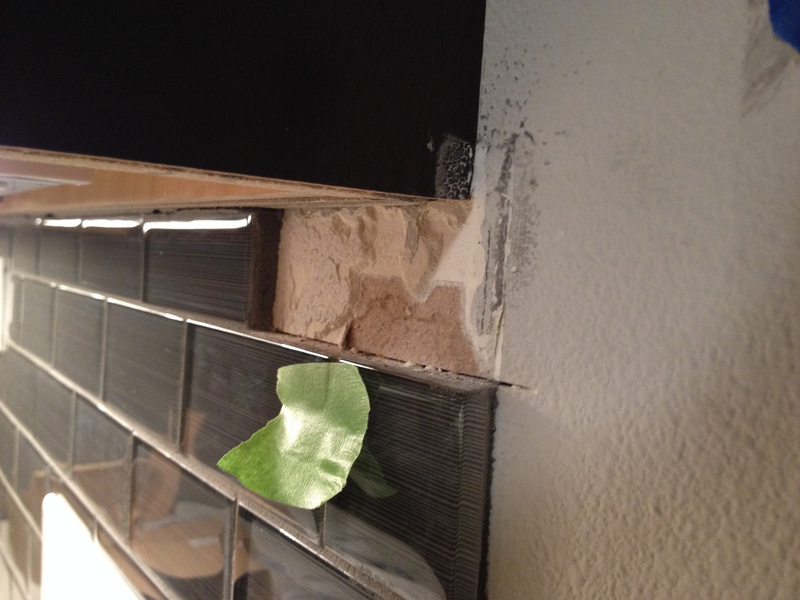 This entry was posted in Construction and tagged builder, final, inspection, paint, problems, progress. Bookmark the permalink. Nice and congrats. You’re almost there. I’ve been keeping a running punch list that I go over with the builder every couple of weeks unless I think it’s a burning issue. Then I do it right away. It looks like you’ll be in for Thanksgiving. That will be nice.